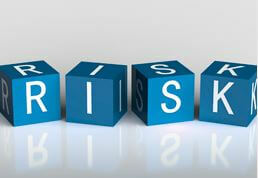 Risk Assessment - what does it mean? Ask LRB Consulting! ‘Simply Put’. In this series, we’re going to be taking a simpler look at some of the key phrases and ideas we frequently come across in health and safety. – such as Risk Assessment. At the heart of our company’s ethos is the desire to provide helpful, practical advice. Part of that comes from speaking in plain English and avoiding unnecessary jargon. However, at one of our recent training courses, we were struck by the fact that there are some words and phrases we all use without necessarily thinking about what they really mean. – What is the definition of the word ‘hazard’? – What is the definition of the word ‘risk’? And what a valid question that is! The term ‘risk assessment’ is bandied around all the time, but people don’t always stop to think about what it means. There’s often a lot that we can take away from taking the time to stop and think about these seemingly obvious definitions. So let’s start with ‘hazard’ and ‘risk’. – A hazard is anything that could cause harm to people or property. – A risk is the chance or likelihood that a hazard will cause harm. Now I suppose it’s only fair we answer the question we were asked too. Quite simply, you can do a risk assessment very easily! Often, you do them intuitively. Think about all the risk assessments you do subconsciously every day: crossing the road, turning the hob on, driving to work, walking in a carpark… you’re doing risk assessments all the time. We just don’t always call them that. A ‘risk assessment’ shouldn’t be thought of as something that creates lots of unnecessary paperwork, full of health and safety jargon. Instead, put simply, it’s the process of thinking about what could go wrong and taking appropriate action to try and stop this. There may well be a need to write the assessment down – but the first process should always be thinking. By thinking of a risk assessment as a method to prevent accidents and ill health, rather than as ‘just another bit of paperwork’, we can make some real progress in improving our attitude towards health and safety, and create a safer workplace culture for everyone.